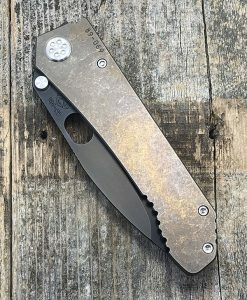 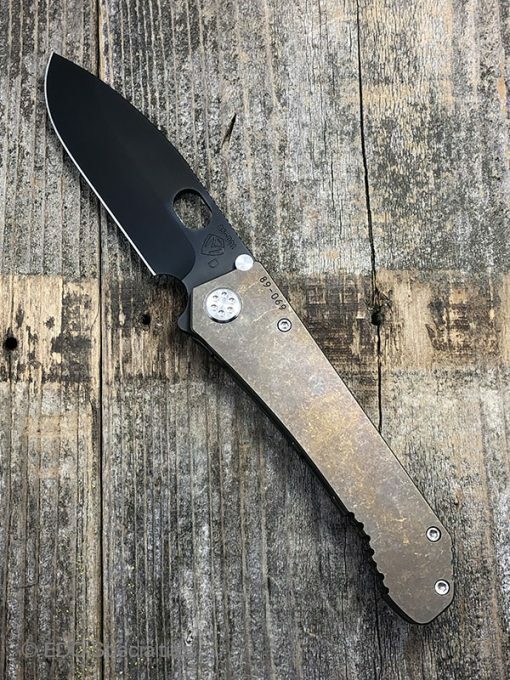 187 DP – D2 Blade Steel, PVD Blade Finish, Standard Grind, ANO Bronze Handle, ANO Bronze Spring, Stainless Hardware, Standard Clip, N/A Breaker. 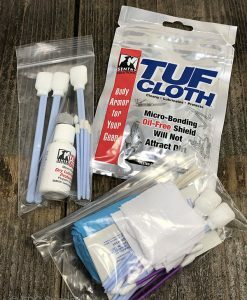 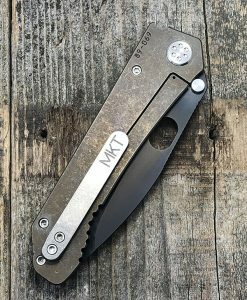 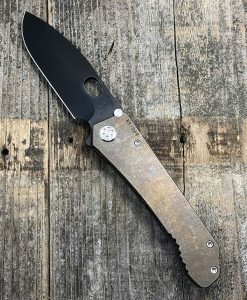 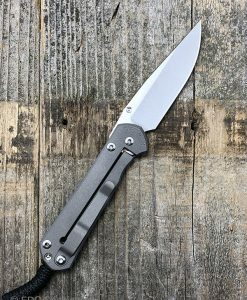 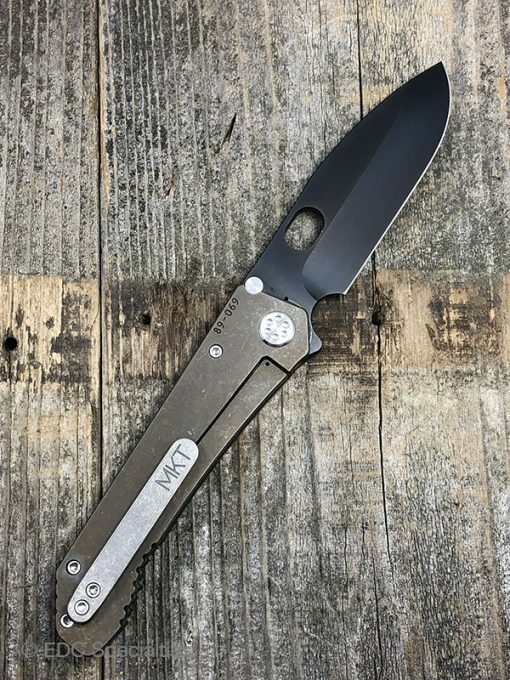 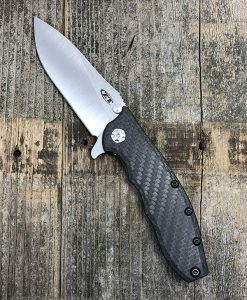 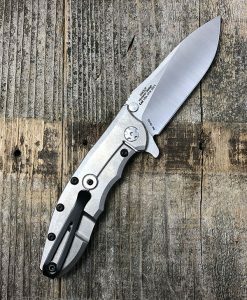 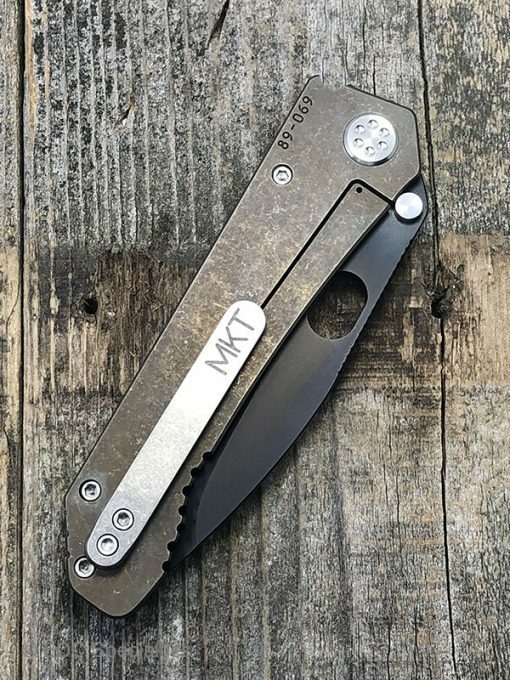 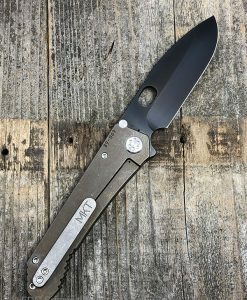 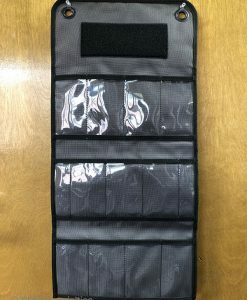 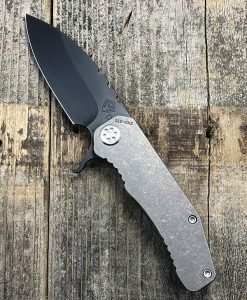 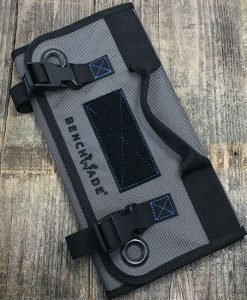 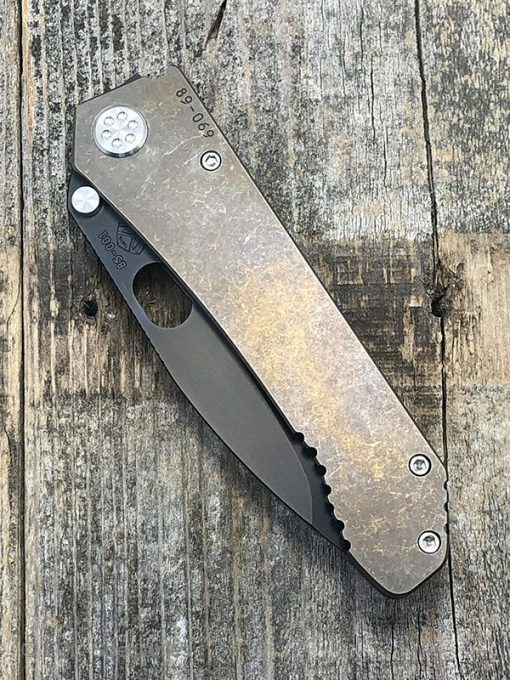 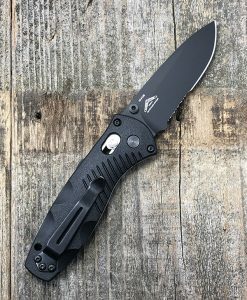 The 187 series of folders, named for the 3/16ths inch stock used throughout, is MKTs lower price-point offering for those who want an entry level Medford Folder. 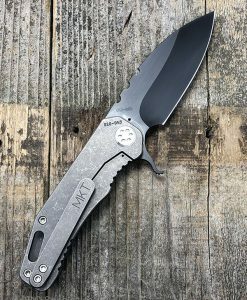 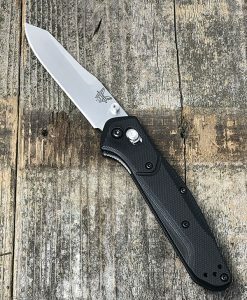 The 187 series offers a hand-made American knife with rugged uniqueness that is truly Americanâ€¦every blade is absolutely unique. 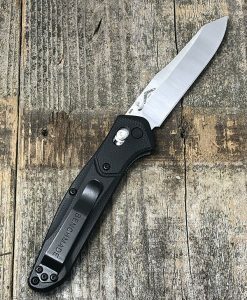 The popular 187 DP now available with Ti handle & spring. 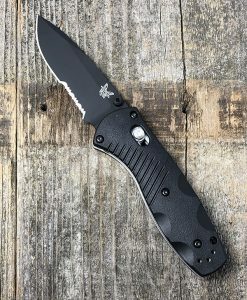 The 187 DP is a drop point juggernaut in the 187 series. 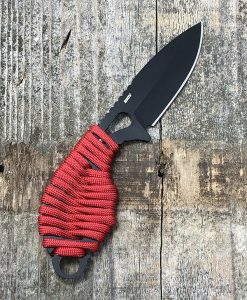 The size of this knife is just perfect for guys with big hands and nearly any job that could benefit from a knife. 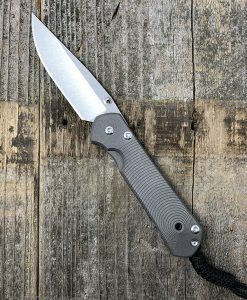 If you like full-sized folders with very little weight the 187 series delivers. 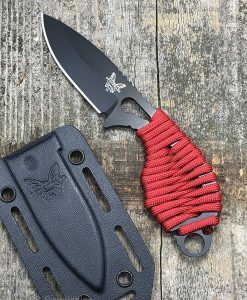 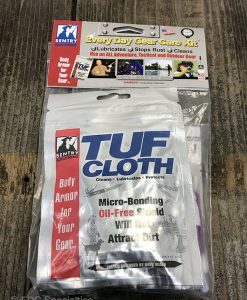 This blade design is awesome for general utility cutting tasks and the tip and forward belly are ideal for skinning or finite cutting tasks.